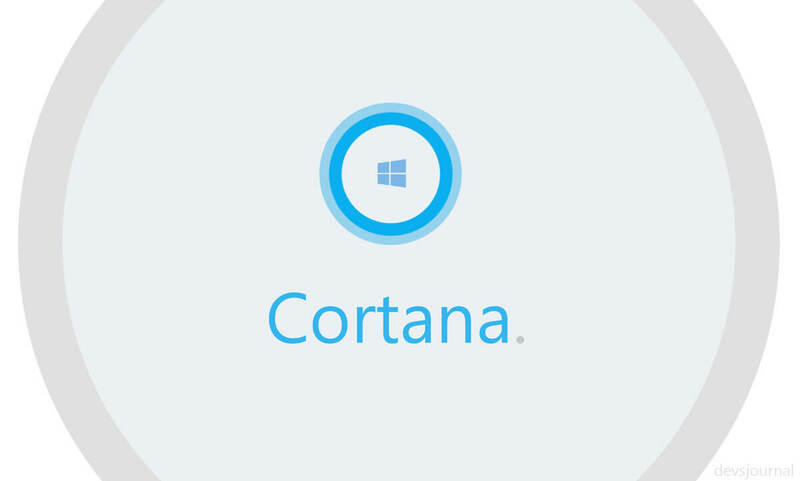 Microsoft Cortana, the voice-enabled virtual assistance for Windows 10 is indeed a great application designed that can help you do an array of tasks with just your voice commands. For performing essential functions like searching over the web, apps & documents, checking notifications, calendars, and much more, Cortana comes so handily to the users. It can recognize natural voice without the requirement for keyboard input and give you information from the Bing search engine. If just that makes you pleased to have the feature remained active on your system, you may not like the idea of disabling Cortana. But what if we break into your preconceived notions? That being said, there are many reasons we have got covered that might trigger you to disable Cortana in Windows 10. So if you are a Cortana user and want to know what all prominent causes are there that you should know, read on to the article. It’s a detailed guide on why and how to disable Cortana in Windows 10 with pretty simple steps. 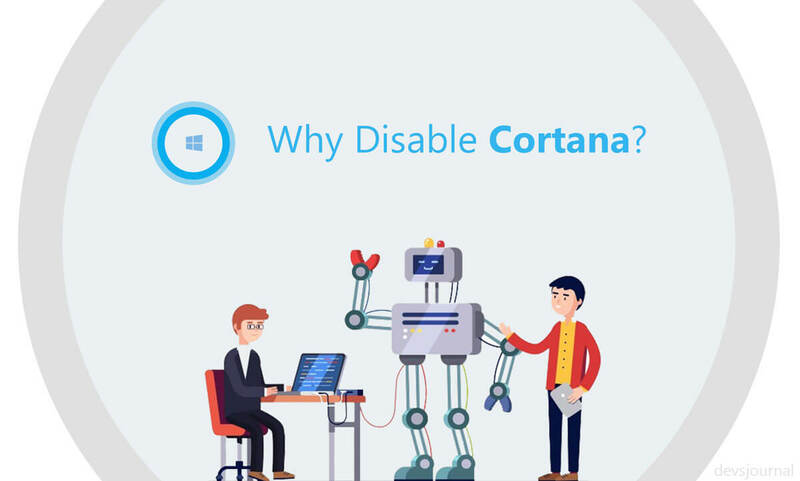 Why disable Cortana in Windows 10? Microsoft’s very own digital personal assistance, Cortana is arguably useful and convenient for users. But being an AI-based application, it tends to collect and make use of some critical information that some users may find it intrusive. In order to learn an individual behavior, it gathers search history, app usage, speech patterns, location and more to give a better-personalized experience by sharing it to Microsoft and its services. Therefore if you are more of security conscious geek and don’t want Cortana to breach into your system privacy or invasion in personal data, you are better of shutting down the helper. For the detailed information, check out the Microsoft Privacy Statement. Another significant reason you may consider for disabling Cortana application could be the high disk usage in Windows 10. Additionally, it has been reported that Cortana takes up a big chunk of your system’s RAM even when your PC is on the idle state which apparently resulted in slow performance. Now, if you have made your mind to get rid of the Microsoft Cortana, below are the workarounds that you need to follow for the obvious reason. Before the release of the Anniversary Update, it was quite straightforward to disable Cortana in Windows 10 by just toggling one switch off. But since this update has been out, Microsoft has made it nearly impossible for the users to disable Cortana. But fortunately, somehow we have managed to found the working methods that can get the job done with little to no hassle. However, now it isn’t quite as simple as once it used to be before the launched of the Anniversary Update. Still not to fret, as we have simplified the methods with easy to follow steps so that you don’t hit any snag during the process of closedown of Cortana. On employing the following workarounds, you will be able to transform the Cortana box into the Search Windows tool that can be used for searching apps and system files. Furthermore, you can also, anytime, reverse the process if you feel like enabling the Microsoft Cortana again. Just Undo the changes, whatever you made for getting the application down. This particular method is primarily for the “Windows 10 Home” users. And, if you are using Windows Pro or Enterprise, check out the second method explained below. Here in this method, we are going to make use of Windows Registry to disable Cortana application. Cautionary Note: Before you get into the implementation, you must know what changes you are going to make and how it’d affect your system performance if it does anyway. You may know or maybe not, but Registry Editor is something which can get you into serious issues if not edited correctly. Therefore, it is advisable to refrain the irresponsible use of Windows Registry. But as long as you are following the instructions listed below, you may not hit any obstacle along the process. So make sure you shouldn’t be misusing any setting and going through the steps in the array. In Windows Search box type “system restore” and hit enter. Open the appropriate result and under “System Protection” tab hit Create button given underneath. Type in a name for the Restore Point and tap Create. And it will take you less than a minute to get the process done. Upon completion, a message will prompt displaying on the screen that you have successfully created a Restore Point. That is what all you need to do. 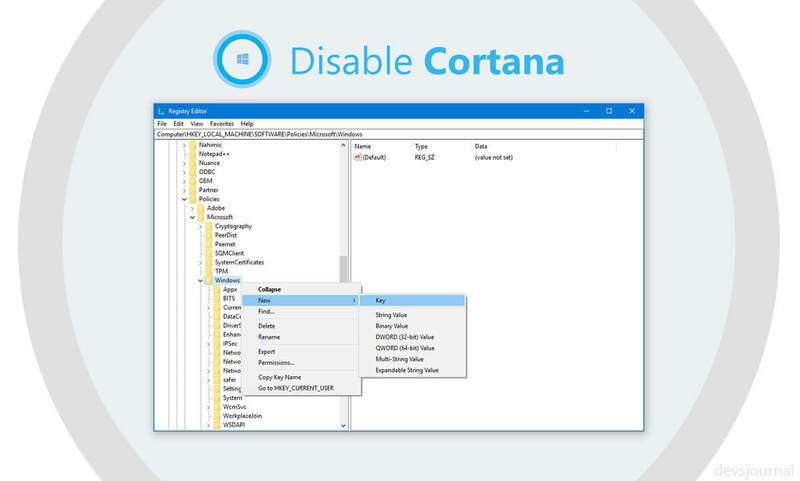 Next, you can follow the steps mentioned below to disable Cortana in Windows 10 Home. You will get a dialog box appeared asking you if you want to allow the app to make any changes in the device; click Yes to proceed. Now click on the Windows search folder, tap on New >> DWORD (32-bit value) and name it as “AllowCortana.” Double click on it, set the value to “0” and hit the OK button. Restart your PC, and that is it for this method. If in future, you wish to get the Cortana back, you can effortlessly do that by changing the “AllowCortana” value to 1. Disabling Cortana on Windows 10 using Group Policy is the easiest method around. But, it’s only available for Professional and Enterprise users. However, Windows Home users can also make use of the Local Group Policy Editor, but they will be needed to add it separately on the system first. Tap Windows + R on your keyboard and type “gpedit.msc” in the box appeared. On the left pane, under Computer Configuration tap on Administrative Templates >> Windows Components, locate and click Search option on the right pane. Tap on Disabled >> Apply and lastly hit the OK button to save the changes made. By following the same steps, you can re-enable the Cortana by either selecting the “Not configured” or “Enabled” option. 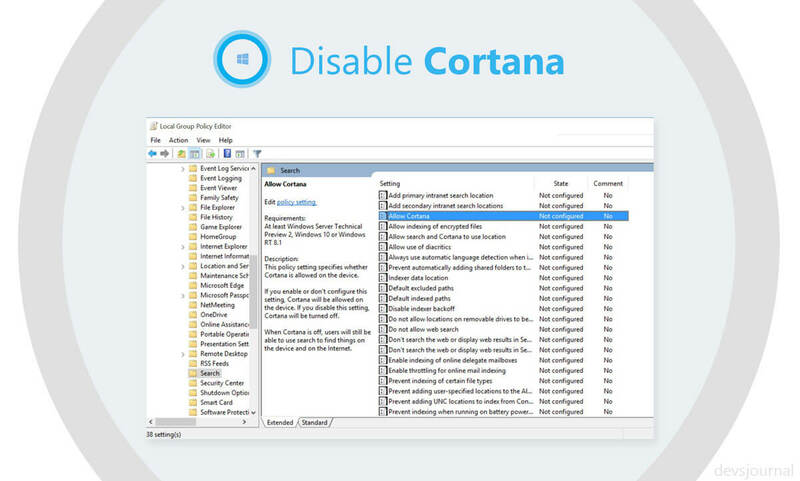 You can straightforwardly disable Cortana in Windows 10 by implementing the methods we have shown to you. If still, you are having any hard times getting the application shut down, you can feel free to reach us out using the comment box given underneath.